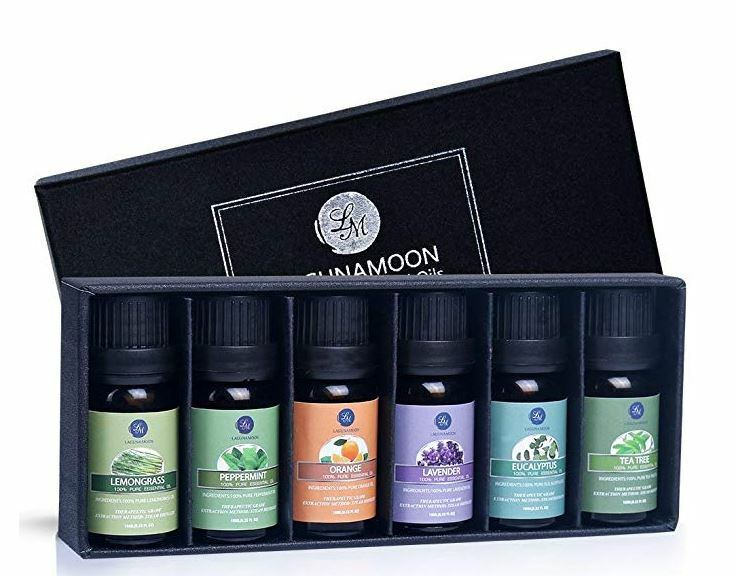 Get this Lagunamoon Essential Oils Top 6 Gift Set for as low as $9.49 shipped when you subscribe and save (Retail $15.99). This gift set includes six 10mL bottles of aromatherapy essential oils: lemongrass, peppermint, orange, lavender, eucalyptus, and tea tree. Achieve greater mind acuity & promote & and happiness with this set. Easy to mix and match for blending or dilution purposes.